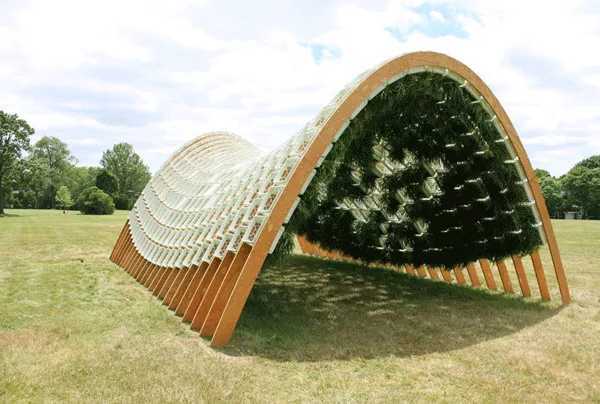 Milk comes from grass – with a little help from our bovine friends – but Living Pavilion, built from used milk crates, turns that equation on its head. Saddle up and let’s go green! 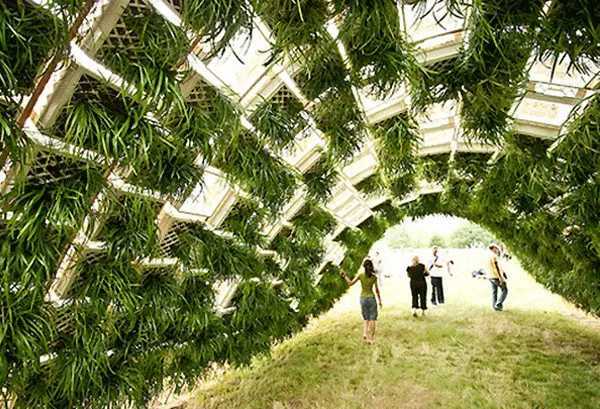 “Living Pavilion,” a low-tech, low-impact installation conceived and created by Ann Ha and Behrang Behin, employed recycled milk crates as a framework for growing verdant and vital planted walls. The saddle-shaped structure formed an open-ended environment whose interior surfaces took the form of green, living walls which completely surrounded visitors. 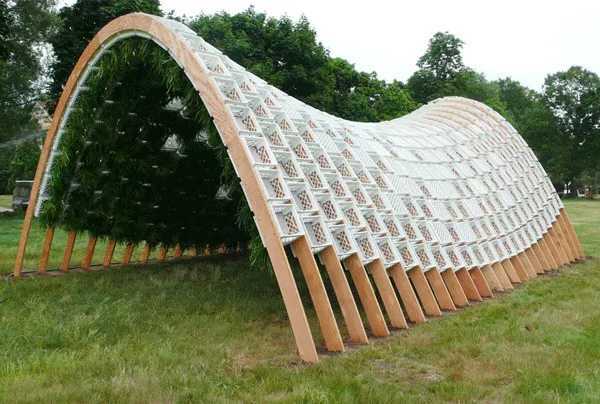 With Living Pavilion, the designers sought to evoke “a synthesis of form, structure, light, and life”. Pretty cool, huh? It was indeed, and in more ways than one: the planted structure featured suspended shade-tolerant plants that, via the principle of evapo-transpiration, moderated hot summer daytime temps so that the interior became a cooling environment.